Angel Diaz is a Processing Archivist at UCLA Library Special Collections. She was formerly the archivist at Los Angeles Metro and the California’s Gold Archivist at Chapman University. In 2014 she co-founded the Los Angeles Archivists Collective—a community-driven organization of archival professionals and enthusiasts that encourages professional development and skill sharing, facilitates collaboration and education, and provides archival outreach to local communities. She is the incoming Chair for the Archivists and Archives of Color Section (2017-2018). Angel received her MLIS from UCLA in 2013 and holds a Master’s in Education and BA in US history from the University of San Francisco. Dorothy Berry is the digitization and metadata lead for Umbra Search African American History at the University of Minnesota. 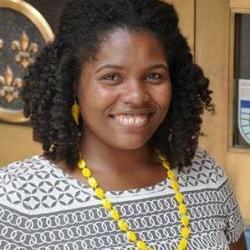 Her work has focused on the intersections of information science and African American history and has included research on nineteenth-century Black performing arts in the digital archives, exhibit creation for the Black Film Center/Archive and the Archives of African American Music and Culture, object conservation for the National Museum of African American History and Culture Smithsonian, and digital resource creation for the Ozarks Afro-American History Museum. Professionally, I have over five years of archival experience. I have worked for the National Park Service and the National Archives at Philadelphia. Currently, I work as the Education Outreach Coordinator at the Texas State Library and Archives Commission. My particular passion within the profession is archival outreach, specifically the responsibility of all archivists in the promotion of the profession, archival resources, and reaching out to the communities that archives serve. I hold an M.A. in Public History and an M.L.I.S. in archives from the University of South Carolina (Columbia). 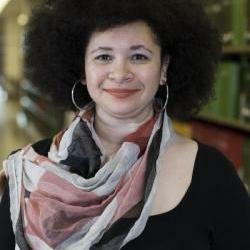 Sonia Yaco is the Director of Social Justice Projects and Research at the University of Illinois at Chicago, where she previously was the Special Collections librarian. Prior to moving to Chicago, she was the Special Collections librarian and university archivist at Old Dominion University in Norfolk Virginia. She is the founder and Senior Advisor of Desegregation of Virginia Education (DOVE), a civil rights history preservation project. She is also a Senior Advisor to the Kids in Birmingham 1963 project. Yaco holds a MA from the School of Library and Information Studies at the University of Wisconsin-Madison. Yaco's co-authored “A Documentation Case Study: the Desegregation of Virginia Education (DOVE) Project” appears in Through the Archival Looking Glass: A Reader on Diversity and Inclusion.